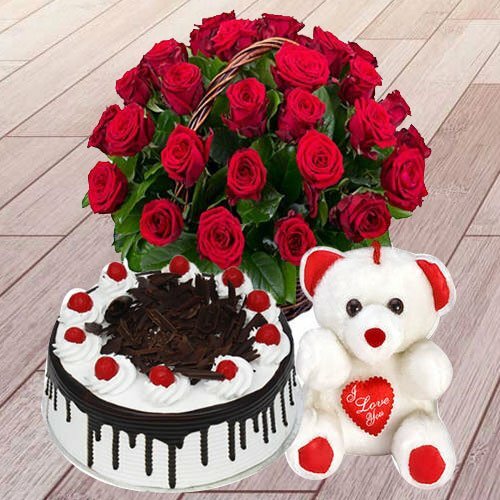 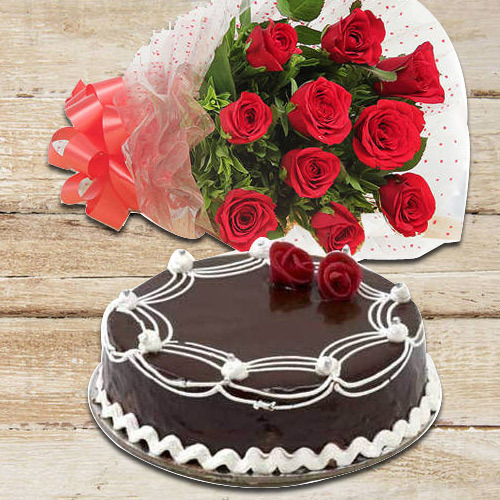 Choose us to Send Flower with Cakes to India and celebrate the Anniversary, Wedding, Birthday, Valentine’s Day, Mother’s Day, Father’s Day, Friendship Day and other occasions with your loved ones. 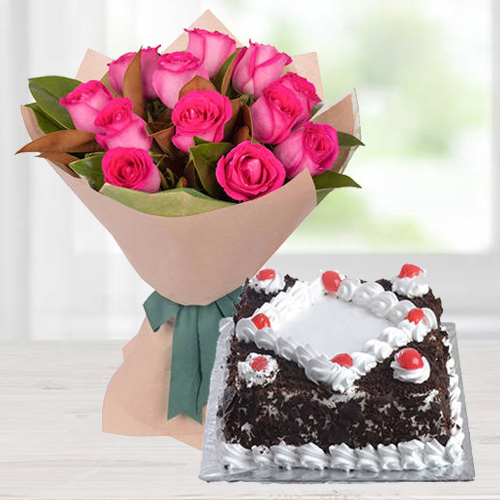 Order from a big collection of lowest priced Flower with Cake for a guaranteed Same Day Delivery at over 275 locations across India. 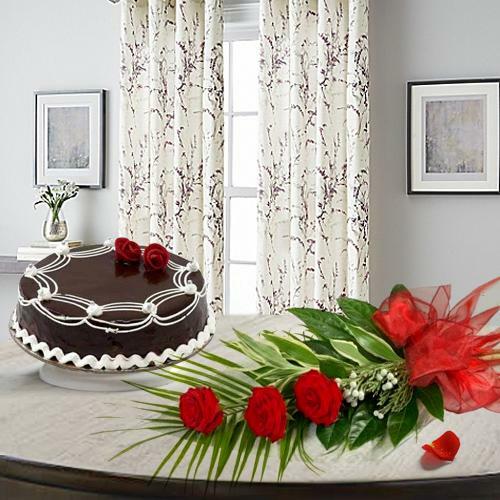 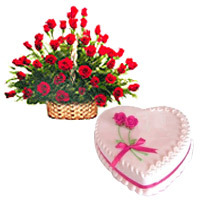 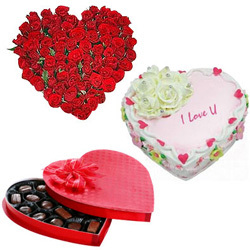 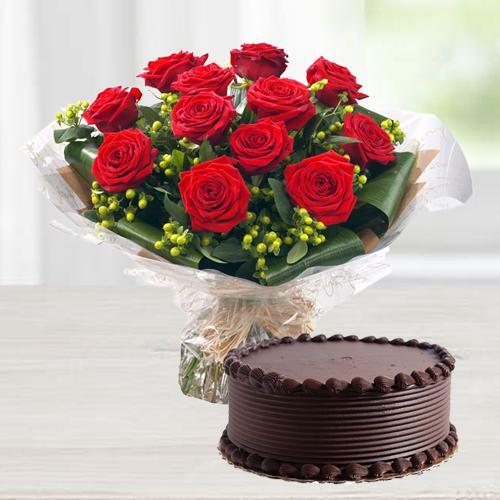 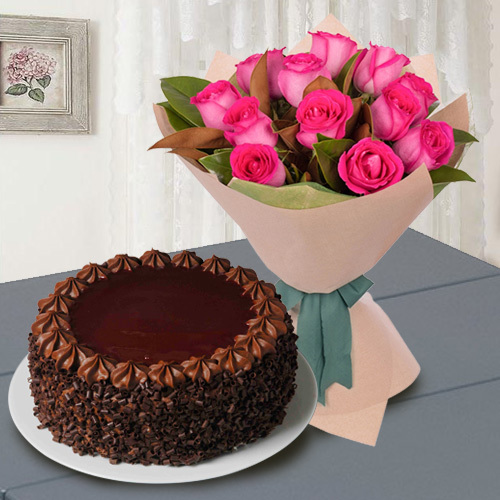 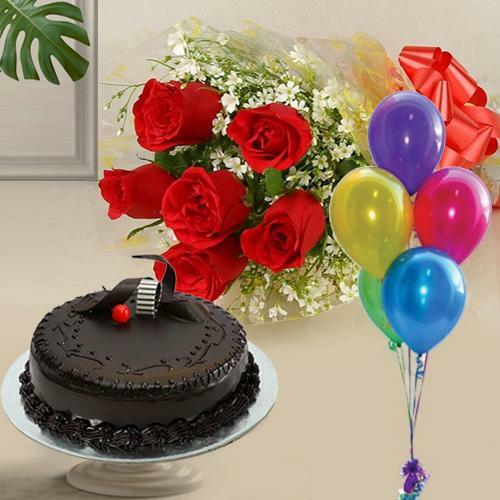 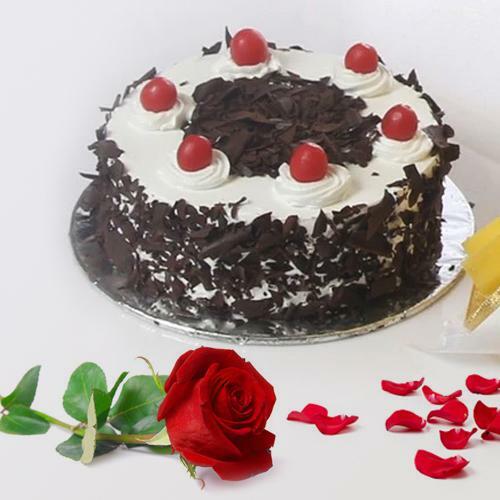 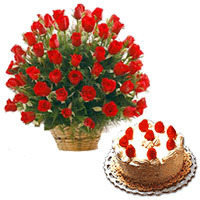 Order and Send Pink Rose Bouquet with Chocolate Cake, Black Forest Cake with Basketful of Gerbera, Photo Cake with Lily Bunch, Eggless Strawberry cake with Orchids and many other Flower Cake Combo for Mid Night Delivery in Mumbai, Delhi, Hyderabad, Pune, Chennai, Bangalore, Kolkata and other cities in all states like Gujarat, Orrisa, Assam, Karnataka, Tamil Nadu, West Bengal, Bihar, Jharkhand, Punjab, Goa etc in India. 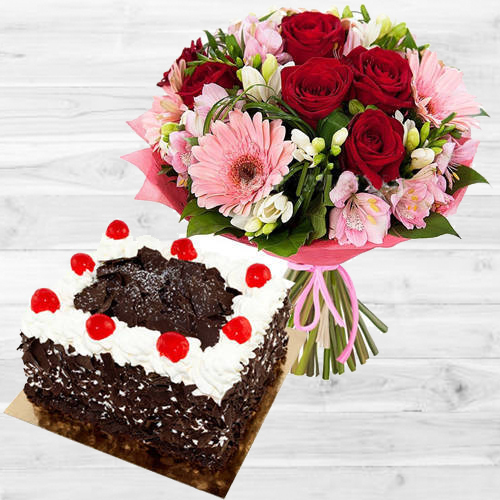 Order Online from our website to Send Flower and Cakes to India along with your best wishes on special moments for your family and friends and get our assurance for a Same Day Delivery anywhere in the country. 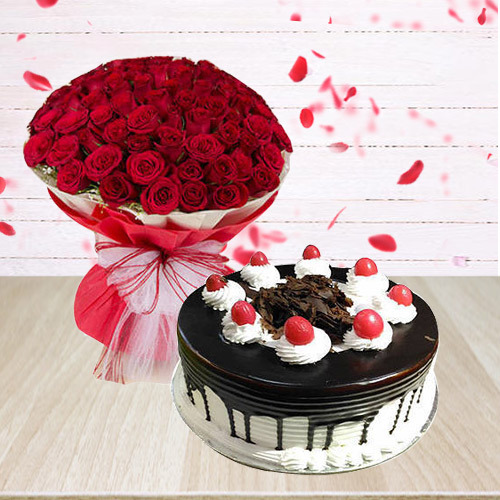 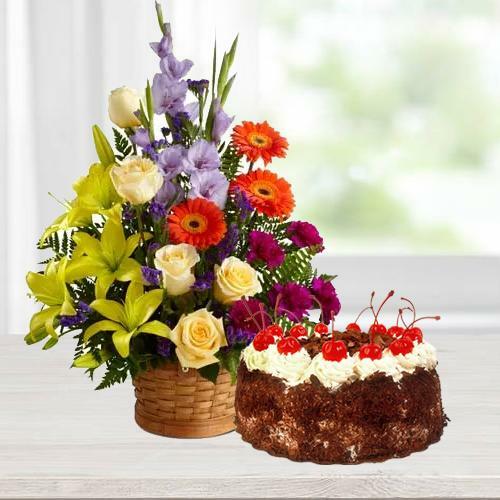 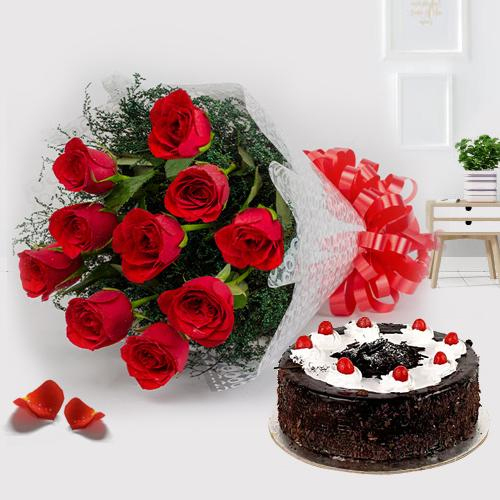 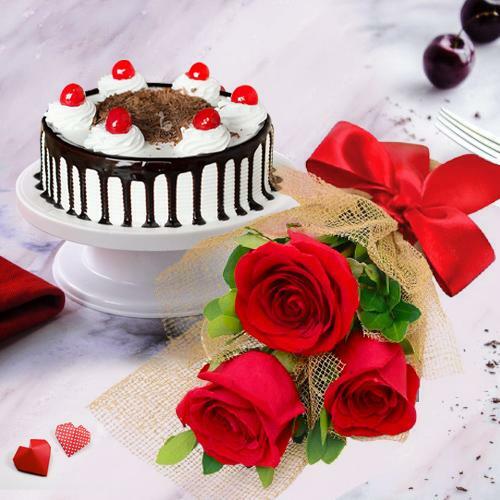 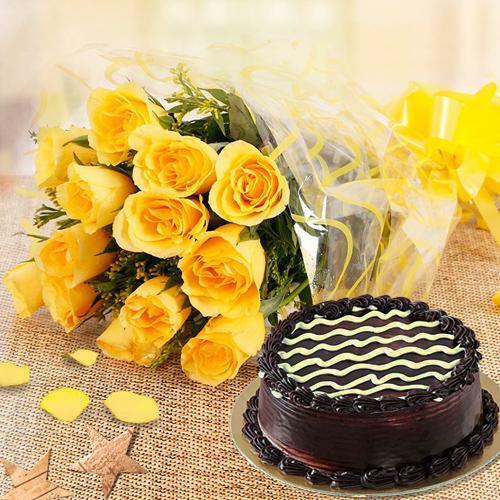 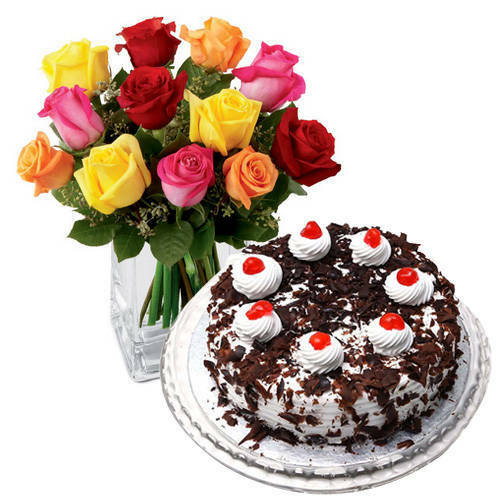 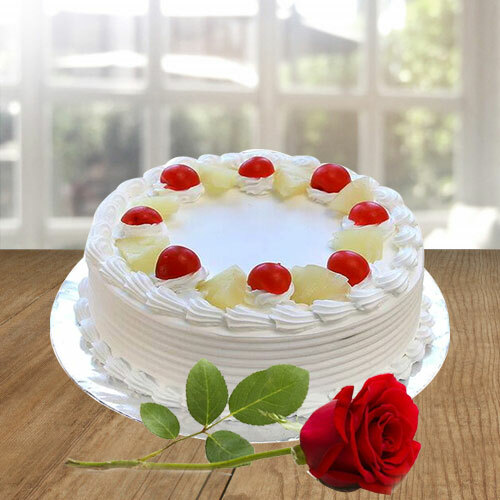 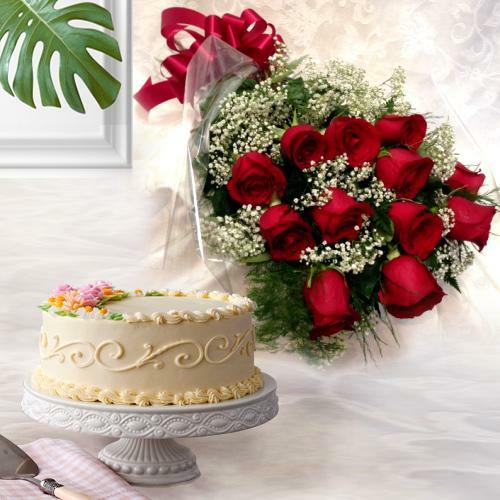 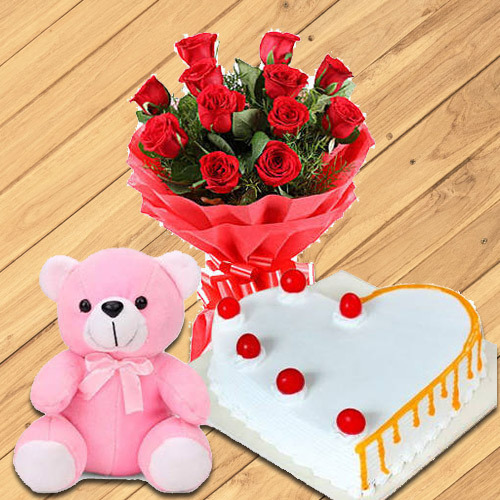 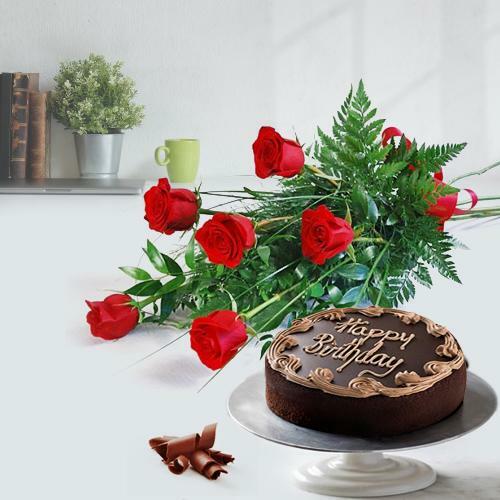 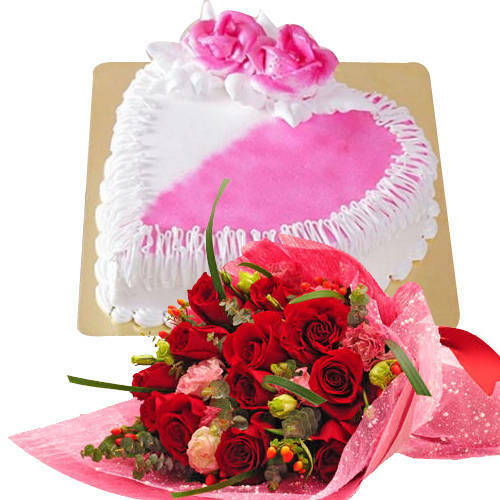 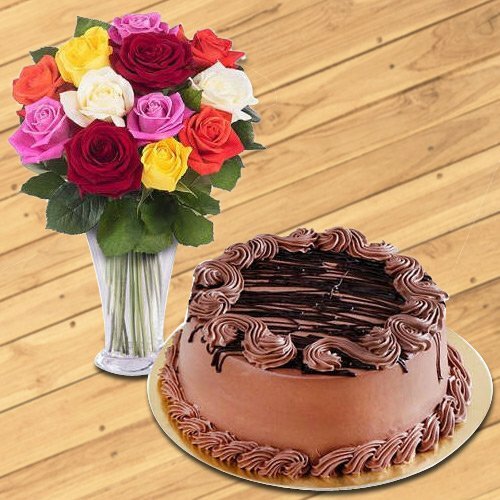 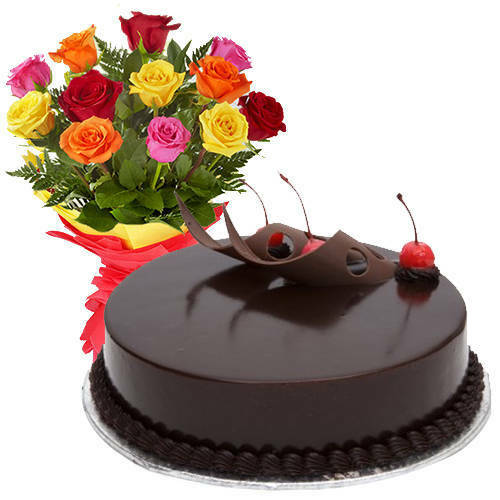 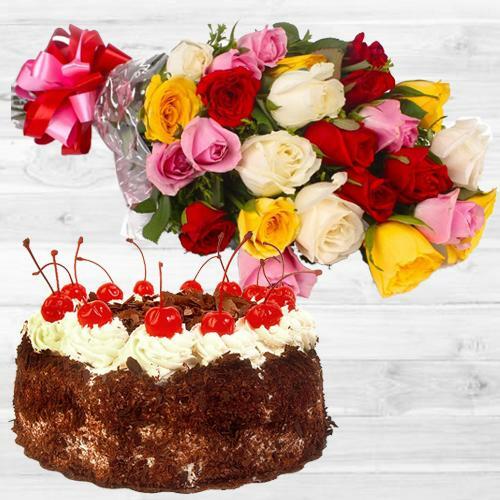 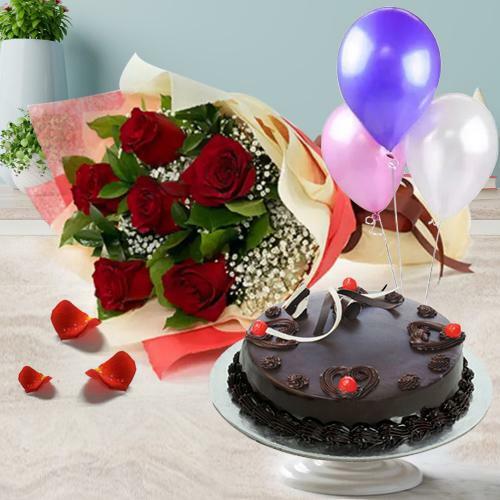 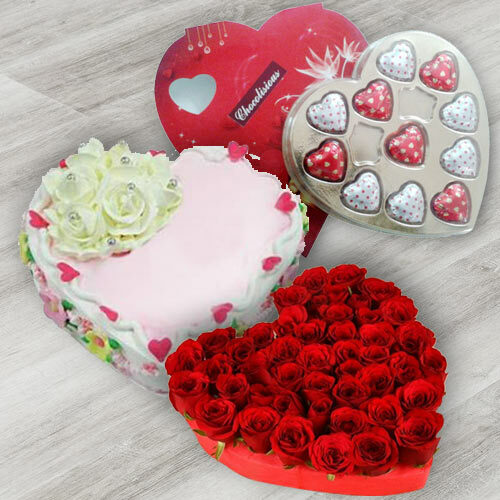 Choose from the huge collection of Flowers with Cake at low price available on our website and mesmerize your dearest person on this momentous day. 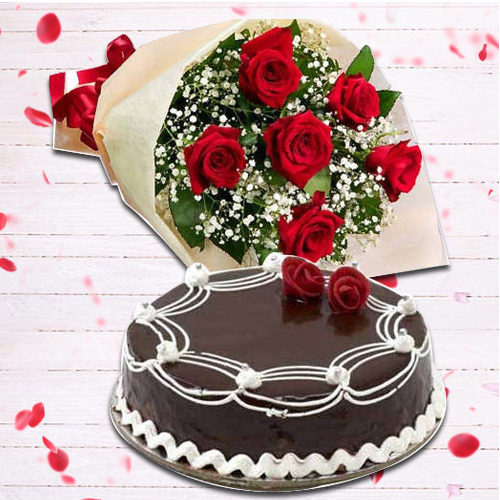 You just need to choose any of the available Flower Cake Combo like Divine Bunch of Red Roses and Black Forest Cake, Extravagant Passionate Moments Gift Set, Exclusive Dutch Red Roses Bouquet with Heart Shaped Cake, Colorful bouquet with yummy Cakes, Exclusive multicolor Roses with yummy Black Forest Cake from 5 Star or TAJ Hotel Bakery, Mixed fresh Seasonal Flowers with festive Black Forest Cake, Sumptuous Black Forest Cake and a fresh Red Rose etc and we shall Send it to the door steps of your father, mother, sister, brother, wife, husband, boy friend, girl friend, lover in India with an on the Same Day.